It might be a little too much for a full room, but when it comes to a feature wall, this Mickey handshake wallpaper by Kids At Home could be just the thing. 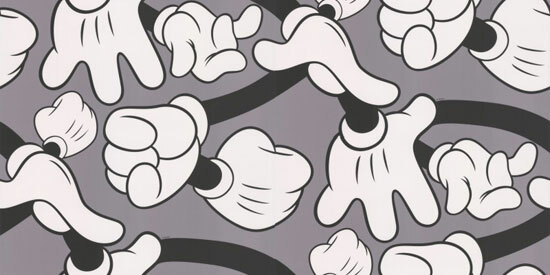 Classic Disney tends to be a little overdone, but Kids At Home has produced something new on the theme, focusing on the distinctive hand / glove for the design, which is in something of a monochrome black, grey and white colourway. Each roll of the paper is just over 10m, with a width of around 0.53m. £12 is the price of one of those rolls.